By the time you’re finished reading this sentence, your brain will have rapidly assessed your surroundings 14 times to see if you should focus on something else. At least, that’s what new research suggests. This is a departure from the way we typically think our brains hold attention—neuroscientists have suggested that neurons fire in a consistent stream when you’re focusing on one thing (like reading this Gizmodo blog, for instance). The new research suggests it instead has a kind of rhythm, where neurons become less active four times per second. During those little blips, the researchers suggest your brain visually checks your surroundings for something more important to pay attention to—like maybe something exceptionally threatening (a clumsy coworker about to douse you in hot coffee) or interesting (a dog in the office). It would make sense that the brain works that way, from an evolutionary standpoint. To survive in this world, you’ve got to be constantly aware of potential dangers. The researchers measured this hidden brain rhythm in both humans and macaques, as noted in a pair of studies published Wednesday in Neuron. Both studies had a near-identical setup, and included both humans and macaques who had electrodes implanted on their brains (the humans had received them as a part of epilepsy treatment). Either a monkey or human sat in front of a computer screen and was instructed to focus at one point in the middle of the screen. A camera monitored eye movements, so trials were thrown out if subjects shifted their gazes, which implied they’d also shifted their focus. Then, very faint, nearly undetectable horizontal or vertical rectangles were briefly flashed on the screen. If a monkey detected the shape, it pulled a lever. (The macaques had previously been trained on this setup and rewarded with juice for successful lever pulls.) If a human detected the shape, he or she released the computer mouse button they’d been holding down. Throughout the trials, researchers used the electrodes to measure brain activity. After analyzing the data on how the brain’s neurons behaved while a person or macaque was focusing on one thing, the researchers saw near-identical dips in neuron activity at a frequency of four times per second in both monkeys and humans. That extreme similarity across species could mean this brain rhythm exists in other primates, too. At the very least, it’s good validation that monkey studies on attention and brain activity can be translated to humans. But the fact that only people with epilepsy were included in the study is a definite limitation. The researchers did point out, though, that because results were so similar between humans and monkeys, it’s likely that the results would also be similar between humans with and without epilepsy. Continuing to understand these brain rhythms could be useful for studying attention deficit disorders. The team speculated that people who get hyper focused or very easily distracted at the hand of attention-deficit/hyperactivity disorder (ADHD) might be getting “stuck” in one of the two states of neuron activity described in their papers. LeBron James and his wife, Savannah, had a romantic date night in Bev Hills on Tuesday ... returning to one of his favorite restaurants in the city and TMZ Sports has the video. The James' hit up Avra -- the same high-end Greek restaurant where Bron dined with Leonardo DiCaprio and Al Pacino last month. No mixing with the normies for Bron and Vannah, they were ushered through the back by a security team into a waiting Maybach with a chauffeur. We tried to talk Trump with the Los Angeles Lakers superstar, but he wasn't in the mood. Earlier in the day, LeBron worked out at UCLA with some of his NBA superstar friends ... including Kevin Durant, Kawhi Leonard, Cedi Osman and Toronto Raptors assistant coach Phil Handy. The photo fueled rumors that Bron could be recruiting KD and Kawhi to form a superteam in L.A. next year. But, last night, he was more focused on Chilean Sea Bass souvlaki ... $27 a dish. Cryptocurrency May Be Treated As Commodity In India. India is reportedly not going to issue a blanket ban on cryptocurrencies, but may label them as commodities, according to a source from India. The family and foundation of former UN secretary-general, Kofi Annan, have confirmed his death and provided additional information on his final moments. YEN.com.gh earlier reported that Kofi Annan died after a short illness in Berne, Switzerland, on Saturday. He was 80. He had reportedly fallen ill while on a trip to South Africa and had been flown back to his Switzerland base for treatment. The late diplomat's widow, Nane Maria, has revealed to Ghana's president, Nana Akufo-Addo, in a phone call that he died peacefully in his sleep. The Kofi Annan Foundation confirmed this in a statement issued on Facebook, adding that Kofi Annan's children, Ama, Kojo and Nina, were by his side during his last days. "It is with immense sadness that the Annan family and the Kofi Annan Foundation announce that Kofi Annan, former Secretary General of the United Nations and Nobel Peace Laureate, passed away peacefully on Saturday 18th August after a short illness," the statement said. The decentralized money transfer initiative, powered by blockchain technology, is a means to ‘raise the Thai financial sector’s technological readinesses for adopting new disruptive technologies in a concentrated effort to ‘enhance operational efficiencies’, the central bank said in its announcement. Uber is close to reaching a final settlement relating to several sexual harassment and discrimination claims. The firm will pay $1.9m (£1.5m) to 56 current and former workers who claim they were victims of sexual harassment. In addition, 485 people will receive an average of nearly $11,000 as part of a class action case of discrimination on the basis of gender and race. The payouts will be part of the taxi-hailing company's total settlement of $10m, which was agreed in March. The class action case is being led by two Latina engineers who allege they were paid less than their white, Asian and male colleagues. The pair filed their legal claim against Uber in October 2017, claiming they suffered harassment and a hostile work environment due to their gender and ethnicity. However, before the payouts can be made the settlement needs to get court approval and members of the class action have a right to object. So far, no one has objected and only two people have dropped out of the process. In a statement, Uber said it agreed with the plaintiff's motion, and that the amounts it would have to pay out were "fair, reasonable, and adequate". A lawyer who negotiated the settlement on behalf of the employees, Jahan Sagafi, said his legal firm was "happy that the settlement approval process is progressing as planned". "We can pay class members for these discrimination and harassment claims and begin the three-year effort to monitor Uber's implementation of the HR improvements," Mr Sagafi added. In addition to the legal case, Uber is being investigated by US authorities for gender discrimination. A hearing to make final approval of the settlement is due to be heard by a California court on 6 November. The harassment and discrimination claims are among a string of issues that Uber's management has faced in the past year. Whilst some of the company's issues have since been resolved, they include losing its licence to operate in London and a civil lawsuit in the US filed by a woman who accused Uber executives of improperly obtaining her medical records after she was raped by a driver in India. The company isn’t saying much else about the device, but its new ‘chief decentralizing officer’ Phil Chen told The Verge that its cost would be comparable to the $1,000 price of the upcoming Finney blockchain phone from Sirin Labs. HTC is also partnering with CryptoKitties, a blockchain-based game that sees you collect and breed virtual cats, to bring the title to its Exodus device, along with a digital wallet. It remains to be seen if this strategy will help HTC save its troubled business. Its sales were down by 68 percent in June, the biggest drop it’s seen in the past two years. Its recent U12+ flagship was also poorly received, despite packing a highly rated camera. The company laid offe 1,500 people from its manufacturing unit in Taiwan in a bid to save itself. That follows an effort to raise money in a $1.1 billion deal last year, when it shipped off some 2,000 employees to Google, who were then believed to be tasked with developing the Pixel hardware line. With that, it’s left with far fewer of its best engineers and designers than a few years ago. The most intresting feature of the announced smartphone seems to be a full integrated cryptocurrency hardware wallet that could handle the main cryptocurrency's like Bitcoin, Litecoin, Ethereum and other coins. While we don’t know much about the Exodus, it’s safe to say that an awfully expensive handset that touts a cryptocurrency hardware wallet as its key feature – at a time when interest in digital currencies is waning – is likely to appeal only to a niche audience. It’s hard to pin one’s hopes on rescuing HTC with something like that. As a longtime fan of the brand, I hope it can prove me wrong. If you’re keen on owning an Exodus, you can register your interest on HTC’s new site for the device. Soccer Body UEFA Scores ‘Successful’ Blockchain Ticketing Trial. Ripple Partners with Three Crypto Exchanges as Part of XRapid Solution. California Judge Orders Accused Hacker to Pay Bail in Crypto. Marsich faces a maximum sentence of five years’ imprisonment and a fine of $250,000 if found guilty, the Attorney’s Office. Police Arrest Hackers Suspected of Stealing $87 Million in Crypto. Chinese police from multiple cities have arrested three individuals who allegedly stole bitcoins and other cryptocurrencies worth around $87 million. On Saturday that the three were busted on Aug.15 in the provinces of Hunan and Changchun and the country’s capital Beijing after a months-long investigation launched by the police. A gold cigarette case with a connection to the Titanic is grabbing the attention of all types of antique collectors curious about its scandalous history as the artifact heads for an auction in September. The original owners of the cigarette case were Sir Cosmo and fashion designer Lady Duff-Gordon — the very wealthy married couple that is said to have bribed their way off the sinking Titanic by paying a very lofty sum. “In the aftermath of the tragedy, the couple was accused of buying their way off the boat, a story inflamed by the tabloid press. But at a British Board of Trade inquiry into the disaster, where the couple testified, Sir Cosmo was adamant he’d given the money as a gesture of goodwill to help the men. However, mud sticks and they were tainted by the incident for the rest of their lives,” The London Economic quoted Hansons Auctioneers’ owner Charles Hanson as saying. The RMS Titanic collided with an iceberg at 11:40 p.m. ship’s time on April 14, 1912, sinking just a couple of hours later in the early hours of April 15, with more than 1,500 people still aboard. Just over 700 people managed to survive this tragic maritime disaster. The gold cigarette case was gifted by Duff-Gordons to Ernest G. F. Brown, a purser on board the RMS Carpathia — a ship that arrived just under two hours after the Titanic sank to bring aboard the survivors. The case has an inscription: ‘Ernest G F Brown RNR, in remembrance of kindness. SS Carpathia, from Sir Cosmo and Lady Duff-Gordon’. Brown was also awarded a gold medal for his pivotal role in the Titanic rescue operation. The cigarette case was unexpectedly discovered in a cupboard at a property in southern England after being forgotten about for 70 years. The artifact, which is estimated to be sold for somewhere between £40,000 (USD$51,000) to £60,000 (USD$77,000), will be auctioned off by Hansons Auctioneers in September. As previous report stated, UPS joined a transportation-focused blockchain consortium in 2017 and has even hinted at the idea of accepting bitcoin through a proposed system of item-exchange lockers. New Partnership Enables Automatic Bill Payments Using Bitcoin in Australia. 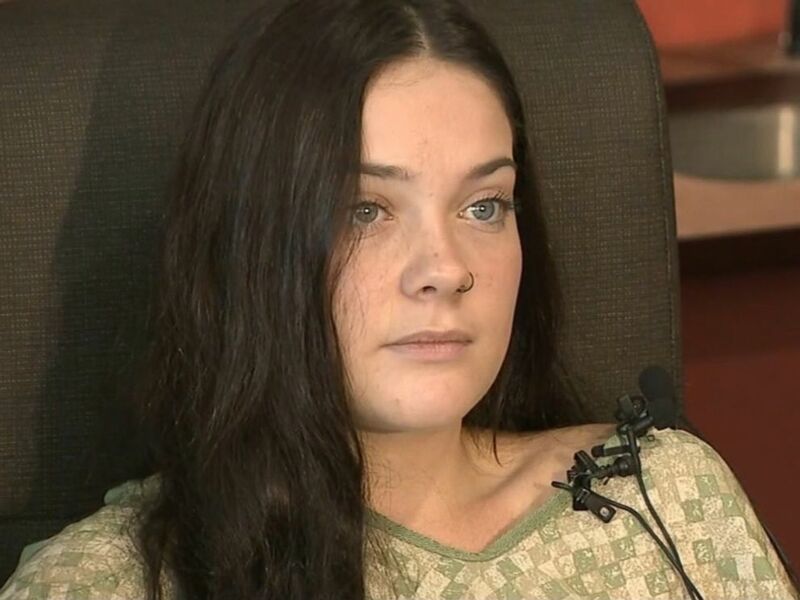 18-year-old pushes friend off 60-foot bridge. Our web application is currently active. In this regards, we appreciate you to continue to use both our web applications and mobile applications. We appreciate your continuous patronage and we promise to continue to improve the CofredCoin platform to meet your needs and much more. We will keep on updating you for any development about our applications. THANKS FOR PATRONIZING OUR TRADING PLATFORM. CofredCoin is the easiest and secure way to buy, sell and store digital currency. CofredCoin provides easy payment methods by allowing its users to link their Visa, MasterCard and Mobile Money wallet to buy and sell cryptocurrency. CofredCoin is a service of Cofred which has been a secure and quick payment service provider since 2013. Cofred is a truly global company with its headquarters based at Kasoa, Ghana and our other office at Lagos, Nigeria with a staff straight of over 100 representing Ghana and Nigeria. A Xiamen Airlines jet has crashed while landing at Manila's Ninoy Aquino International Airport. 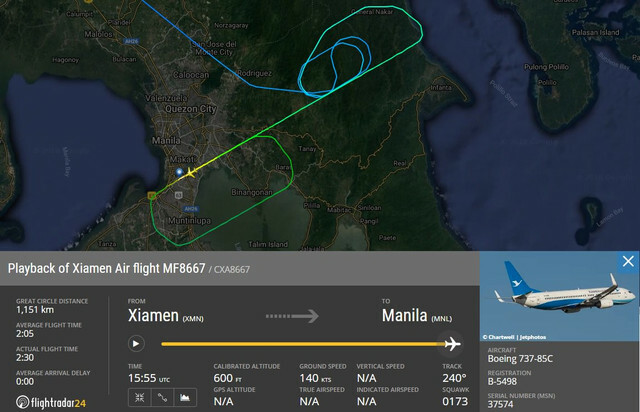 "On August 16, 2018, Xiamen Airlines Flight MF8667 from Xiamen to Manila experienced a runway excursion while landing at Manila Airport at 23:55 Beijing time," "The crew immediately initiated emergency evacuation procedures. All 157 passengers and eight crew on board were evacuated safely with no injuries." The Xiamen Airlines plane was at the conclusion of a two-and-a-half-hour flight from the southern Chinese city of Xiamen when the incident reportedly took place.